After seven-and-a-half years in the role, Karen Bolinger has resigned as CEO of the Melbourne Convention Bureau (MCB). Bolinger will finish up in the role on Friday to take some time off before exploring other opportunities. MCB chair Chris Barlow praised Bolinger’s efforts during her tenure. “Under Karen’s guidance the MCB team has delivered the most successful years on record, and with the support of Visit Victoria, the 18/19 period is expected to deliver its highest ever economic contribution to Victoria of almost $500 million,” he said. “Karen and her team have led the repositioning of Melbourne’s profile as an innovative business events destination by highlighting the city’s intellectual capacity and knowledge sectors. “This highlighted the business events sector as a key economic driver into the local economy, garnering ongoing support from state and local government. Barlow noted that Bolinger was integral in delivering strategic direction to the many boards she sat, on as well as leading the transition for MCB to become part of Visit Victoria. “The MCB board wish to respect and support her decision as she leaves MCB to take some time out and consider her next steps. 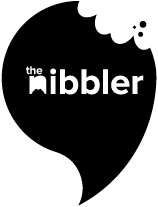 Sadly, team Nibbler couldn’t make the launch party for Melbourne’s newest event space. But, judging by the hungover looks on people’s faces the next day, it was a real hoot. Meanwhile, we’re backing Wednesday early marks and espresso martinis. Just kidding, we’ll have to settle for the cold coffee thats been our our desk all day. The MICE industry are incredibly appreciative of the huge funding boost from the Fed Gov. Meanwhile, our office is very unappreciative for using all the Vegemite.